Flawed legislation has encouraged power companies to build facilities that aren’t needed, resulting in infrastructure not even connected to the network. While the companies make handsome profits the ratepayers see their power bills doubled. 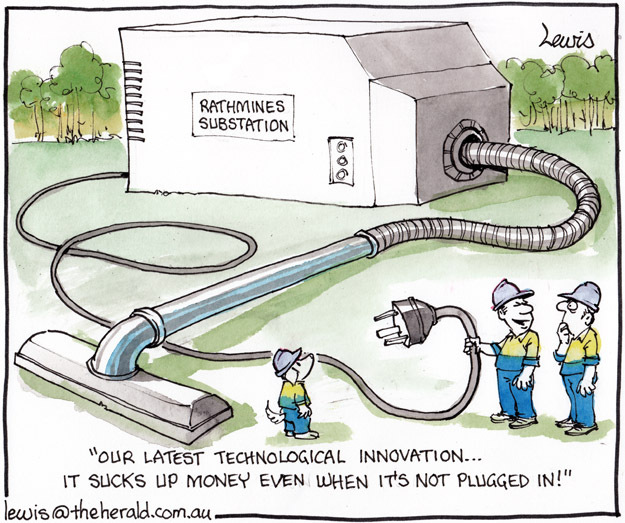 This entry was posted in Editorial Cartoons and tagged electricity, energy, infrastructure, NSW government, power companies, substation on November 29, 2012 by Art by Peter Lewis.